So how do you rest? 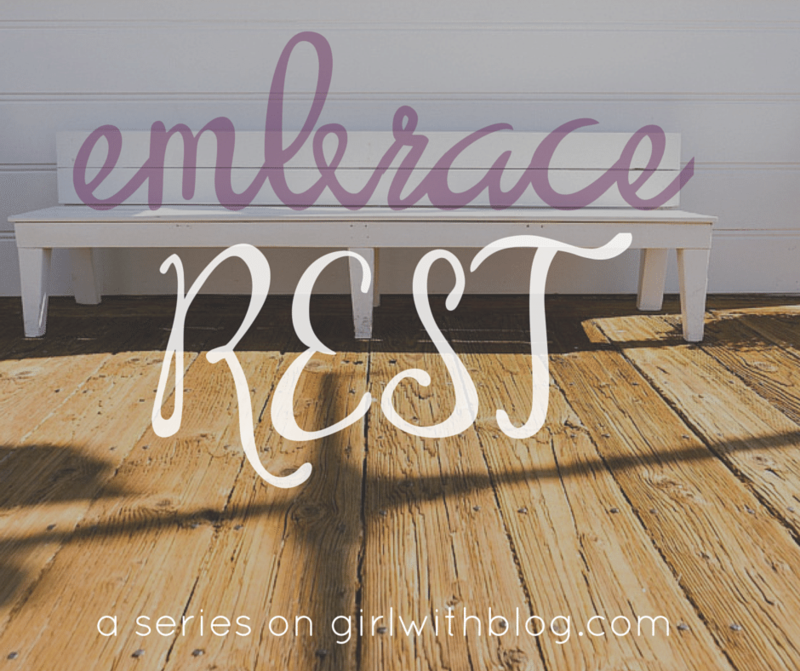 How can we simplify our lives so we can embrace rest? How can we practice ‘real life rest’, filling up our cups so we can fill others? Quality vs. quantity is one part of it. Real rest lies in the quality of the resting, not necessarily the quantity of it that we’re able to get. We’re in a season of parenting where quantity of ‘me time’ is a commodity, so we have to make our moments of rest count. We have to learn how to rest in the cracks of our day. I try to use the first minutes after getting home from daycare drop-off to light a candle, make a cup of coffee, turn on worship music and transition into my work day. It’s not much quantity-wise, but quality wise – it can set the tone for the rest of my whole day. I’ve found that sometimes, it makes sense to even secure childcare for a couple hours. I’m a better mom after some non-working away time. Trade hours with another mom or your spouse. Go to a MOPS meeting! Pro-tip: have your phone on but don’t check it. If I’m having me time but check my phone constantly, the time no longer feels restful but stressful. Some people love to work out or go for a run, others to read a good book. Maybe sleeping in in the morning is how you’ll embrace your need for rest one day, while getting up an hour before your kids is how you’ll embrace it another day. It may not look the same from day to day, and that’s ok! If we haven’t rested, we can’t celebrate (or we can, but we might get strep throat.) When we are soul tired, we can’t notice goodness. If we haven’t rested, we cannot flourish. Embracing rest does not mean sleeping all the time and pulling our kids out of every extracurricular activity. Simplifying our lives doesn’t mean getting rid of all our possessions. We need to chart our own course and do these things our own way. If we’re actively simplifying our lives to make room for rest, we will flourish.